H&H Carpet professionals have years of experience installing carpet, hardwood, tile, vinyl and more in Warner Robins, Macon, Perry and Byron homes. H&H Carpets continually strives to ensure that our installation service is both fast and as well done as it can be. 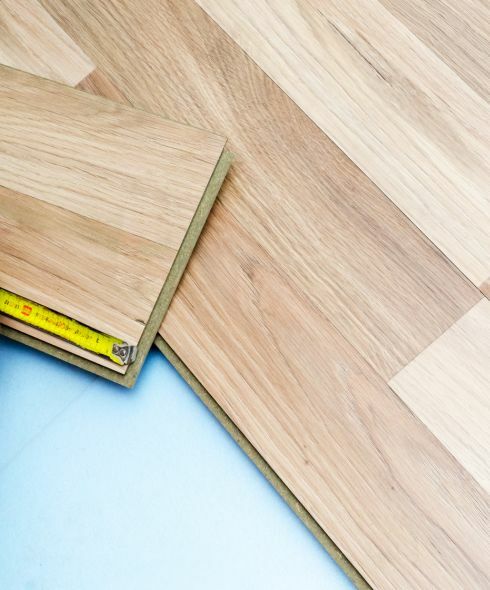 This means that our professional installers not only have many years of experience installing hardwood, tile, carpet, laminate and other flooring products. It also means that they keep up-to-date on all the latest flooring products and the proper method of installing them. We offer fast, affordable service to residents and businesses in Warner Robins, Macon, Perry and Byron. We will install new floors in any area of your home or office and never exceed your budget. In–home consultation. When time is short, rushing around to keep appointments can be a considerable problem. H&H Carpets offers residents in-home consultations as a convenient way for you to interface with our professional team. This permits us to work out the details of your project with you face-to-face. H&H Carpets will also recommend other services to go along with your installation and describe the best long-term maintenance for your new floors. Thorough flooring inspections. We carefully inspect each and every installation before and after the job. We check the quality of the flooring products used; the sub-floor, and the overall conditions of the installation site. This lets us develop a custom installation plan so that your new residential flooring gets the treatment it deserves. Any necessary repairs or replacements will be taken care of before the installation. In addition, we also inspect the work that our installers do after each job is finished to ensure that your floors look precisely right. This is a vital part of the customer service we always deliver. For the best installation of carpet, hardwood, tile or vinyl flooring, call H&H Carpets today at 478-922-7747, or drop in to our Warner Robins showroom location at 1251 Watson Boulevard, Warner Robins, GA 31093.